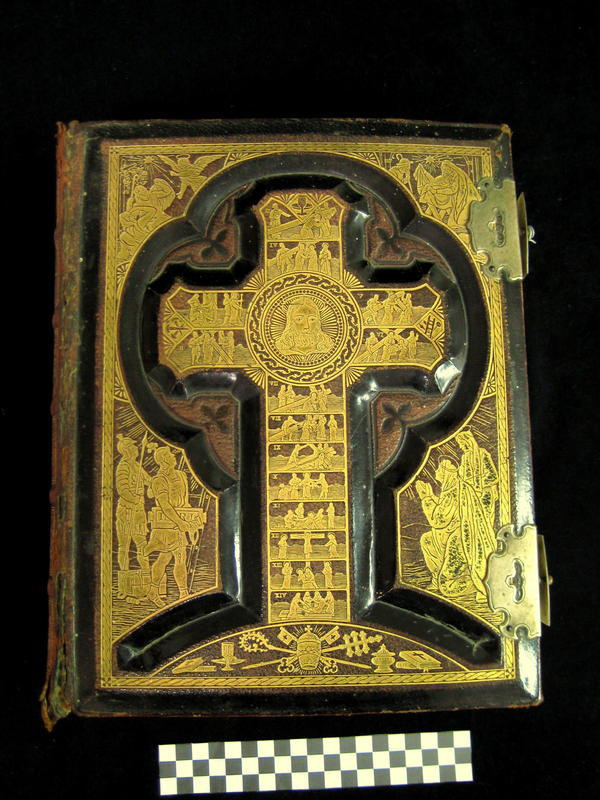 Large Catholic Family Bible with pages on Catholic History and Bible Dictionary. Catholic history in the Raglan area could date back to 1844 when the village of Piripiri near Kawhia was found to be wholly Catholic. The first Catholic Church in Raglan was built in 1903. 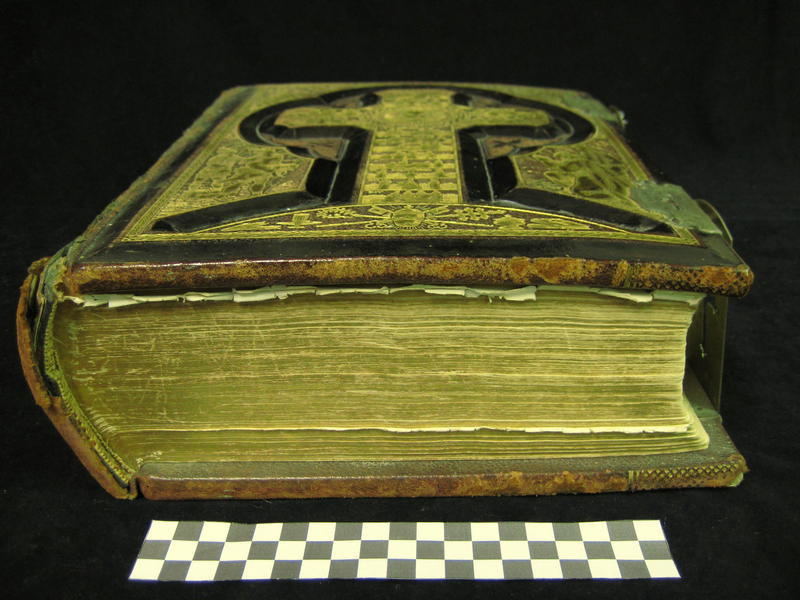 Is there a way to figure out how old a Bible is? I have a family Bible but trying to see how old it is, is becoming difficult. Sorry the Raglan Museum is not able to provide advice on the value of objects. I was curious how much this bible is worth I have one just like it, but mine doesn't have the brass clasps keeping it shut. Please email me back and let me know I can send you pics if you would like.